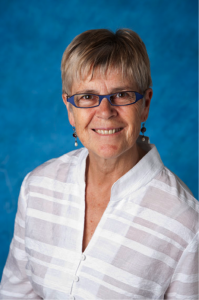 At this year’s ALA National Conference, keynote speaker, Lyn Carson, professorial fellow with the School of Humanities and Communication Arts at the University of Western Sydney, will speak about her research in the field of deliberative democracy and how the wider public can help to resolve policy challenges. Your past experiences with deliberative democracy are very inspiring. What do you see as the barriers that may prevent these processes from taking a firmer hold in Australia? Could learning processes help us move beyond these? I think of deliberative democracy as active citizenship. It has three essential characteristics: inclusion—to ensure diversity; deliberation—which involves learning and discussion; and influence—or impact. Deliberative democrats know it’s possible to create really good public deliberations by bringing a microcosm of any given population together. So the first two essential characteristics can be achieved. The third is definitely the most difficult. Public deliberations (also known as mini-publics) have a tremendous impact on participants. However, it’s much more difficult to have elected representatives to heed participants’ thoughtful recommendations. Effective learning processes are fundamental to mini-publics and adult learning principles are routinely used. Deliberation itself is a learning process, as participants need information to ensure their deliberations are informed. But this is not lecture-style, didactic delivery of information. It’s essential that convenors ensure that clear information is available and that participants can have all their questions answered. However, deliberation is dialogic, and it’s often experiential. The information is used in some practical way as well as becoming the content of the dialogue. Some of the most significant learning occurs during the conversations amongst the group itself. Because it’s a diverse, randomly selected slice of the population, the group has a considerable combination of life experiences to draw upon. Critical thinking is emphasised. Evidence is interrogated. This includes asking hard questions about how and why we think like we do about certain issues. People would be asked to challenge acceptance of power relations that permeate our thinking. They would also be invited to question how issues are framed to perhaps coercively shape our dialogue. Deliberative process and facilitation can help participants dig down into that. But I would repeat that it’s difficult to have recommendations acted upon. Therefore, learning processes would help deliberative democracy to take hold but that learning would be amongst those who make decisions. Some recent research in the US shows that elected representatives are wary of deliberative democracy; they are also extremely ignorant about it. Trust in a deliberative process cannot be taught. But I think that positive exposure to deliberative methods may relax some of that wariness. You have said that the ‘typical citizen’ is perfectly capable of responding to complex issues. Nevertheless, do you still see a value in educating people about how to participate more actively in democracy? Where and how might that learning best occur? We learn how to be democrats through the practice of democracy (not the practice of contemporary representative government, but genuine democracy, in the Ancient Athenian sense, where lotteries for public service were routine). I want to create opportunities for people to experience and understand the benefits for themselves of public deliberation. Typical citizens are perfectly capable of responding to complex issues. That doesn’t mean that they need to become rocket scientists overnight in order to deliberate on rocket science. Usually the complexity of issues means that value judgments must be made. These are the type of quandaries that scientists don’t particularly wish to deal with. They are happy to do the science but prefer that others deal with the values that underpin their discoveries. The Danish Board of Technology understood that; it routinely convened consensus conferences amongst (self-selecting, then) randomly-selected citizens to consider the appropriateness of various innovations (of scientific or technological nature). Deliberation requires learning. Good information leads to good decision-making. Co-intelligence is inspiring to observe in action, and that’s what seems to happen when citizens take on the role of thinking on behalf of others. This, of course, was meant to be how democracy would function. It’s the difference between public opinion—through focus groups and opinion polls, for example, and public judgment—through practices such as citizens’ juries and participatory budgets. People who attend public deliberations always behave respectfully. That’s because the design of the process motivates them to be positive and constructive. Aside from slowing people down if they are overly talkative, and helping the timid speak up, little further help is required in terms of how to do it. The challenge is to help those who might discount people deliberation as “mere talk” when it is far more than that. Adult and community education (ACE) encompasses a diverse range of different providers including neighbourhood houses, community centres, libraries, men’s sheds and many others. How could ACE providers apply principles of active democracy in their work? What do you see as the intersection between democracy and learning? ACE providers get adult learning principles. No one is better positioned to enact deliberative democracy than they are because of its symbiotic relationship with learning. Democracy is more than a constitution or voting or internal security. Democracy is an everyday ‘practice’ that is continually evolving. Learning is an inherent part of that practice. The idea of practice is at the heart of most adult education approaches now. ACE providers’ own organisations are a good place to start. I realise that some will be doing this already—I know of some inspiring workplaces. An organisation can routinely draw upon the collective intelligence in its ranks. Not just the upper echelons, but the lower ranks as well. A random sample can guarantee that a real cross-section is selected. If we ask who wants to participate, the ‘usual suspects’ or hyper-interested individuals will come forward. But if we invite a representative sample through a lottery, a microcosm of the whole; and we use small groups dialogic methods of problem solving and visioning; give them the power to make decisions which affect themselves and their peers; and engage them in a real spirit of learning and inquiry; magic happens. ACE providers are experts in these techniques. There is increasing acceptance of leadership that takes a more facilitative than authoritarian stance. Diverse groups make excellent decisions. They will own those decisions and share their enthusiasm for the decisions with others. In turn, an organisation and a community is strengthened. This is deliberative democracy at work. Some theorists have suggested that the rise of the internet has created a significant change in citizen capacity. This has largely been at an individual level through social media, but is increasingly beginning to mobilise groups. How can the internet be used to empower community organisations? Social media is a great tool for organising and mobilising people, who are excited or angry, to act. It’s especially good at reaching young people who might otherwise be reluctant to be involved in policy or political dialogue. I’m intrigued, as one example, by the Occupy Movement and its demonstrated capacity to mobilise people via smart phones, then to use efficient decision making techniques face-to-face. They did this with hand signals in large crowds, for instance. They’ve self-organised in an accomplished manner. There is wisdom in crowds but not in mobs, whether the mob is online or face-to-face. Social media can broaden an audience even in a local area. Many local councils are using it well; gaining resident feedback and sometimes doing an online deliberation. I see real value in the combination of social media and face-to-face. Much work is going on to narrow the gap between the two. So far, online deliberation alone does not seem to have the empowering force of face-to-face deliberation but I would wish to harness it. We did this for the Australian Citizens’ Parliament: online deliberations culminating in face-to-face discussions. It can be a terrific combination. What can we look forward to hearing from you at our national conference in October? I’d like to share some inspiring case studies of ways to deliberate collectively for societal good. My current work is focused on solving intractable problems. I think we can do this collaboratively, but we need new tools to tackle these increasingly complex challenges. A vibrant and sustainable democracy is possible. I think deliberative democracy and active citizenship is the key. We can’t meet these challenges by doing more of the same. We need to draw citizens together routinely—not everyone, every time, but an ever-rotating cross-section of the entire population. We can have them address these matters, thoughtfully and deliberatively, in partnership with experts and elected representatives. I’ve seen it work time and again. I know how robust these processes are. I’d really like to understand how the adult learning community could help to strengthen these practices even more. Lyn was involved in convening or supporting Australia’s first Consensus Conference, the first Deliberative Polls, the first Australian Citizens’ Parliament, numerous Citizens’ Juries and Community Summits and a host of other public deliberations at local, state and national levels. She is currently a director of The newDemocracy Foundation and a board member of Oxfam as well as Essay Editor of the Journal of Public Deliberation.